About Angel Yeast Co. Ltd..
Home Angel Yeast Co. Ltd.
Angel Yeast Co Ltd was found in 1986, it is a listed high-tech yeast company in China, which is specialized in the mass production of yeast and yeast derivatives. Angel Yeast possess twelve international advanced factories and eight technical center at home and abroad. Angel Yeast has become one of the main yeast extract（YE）supplier in the world after decades development, with four professional YE production line in China, Angel’s total capacity of YE is 61,000 tons.In the coming years, to better serve its customers, Angel is going to launch first overseas YE production line in Egypt, by estimation, the overseas YE production line will be finished at 2019. Till now, Angel Yeast is capable of supplying basic yeast extract, high Umami yeast extract, rich peptides yeast extract and flavor yeast extract. And the applications of Angel YE include soups, sauces, instant noodles, snacks, meat products and other food applications. Angel’s outstanding R&D and technical application team rich of experiences for providing customers tailor-made food solutions according to different applications. 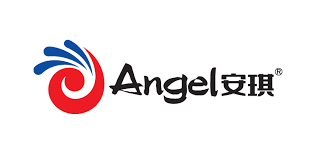 Send inquiry to Angel Yeast Co. Ltd. Your message will be sent directly to Angel Yeast Co. Ltd. and will be answered at their discretion.